Patients with primary hyperparathyroidism and plasma ionized calcium levels ≥1.45 mmol/L may benefit from parathyroidectomy in terms of a reduced pulse wave velocity. 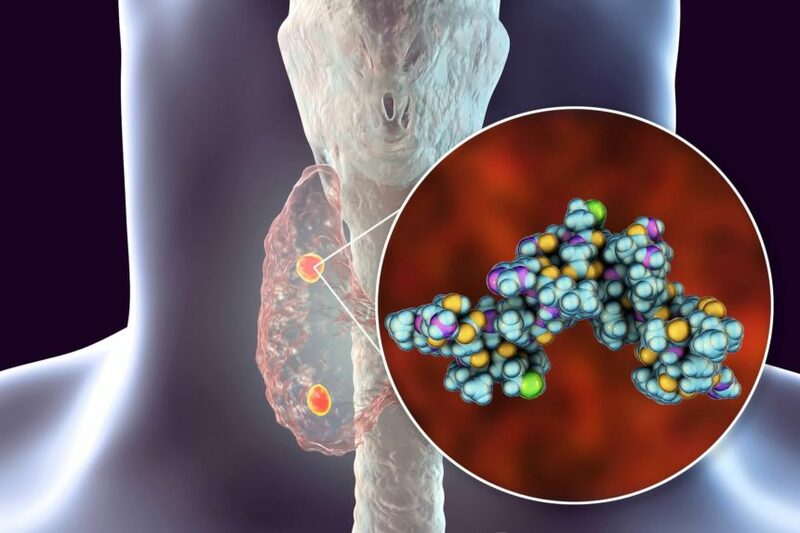 Parathyroidectomy may have a potential beneficial effect on lipid profiles and decrease cardiovascular risk in patients with primary hyperparathyroidism (PHPT), according to study results published in The Journal of Clinical Endocrinology & Metabolism. Previous studies have reported cardiovascular abnormalities in patients with PHPT, and premature death secondary to cardiovascular disease has been documented in patients with severe PHPT. The effects of parathyroidectomy on arterial stiffness, a predictor of cardiovascular morbidity and all-cause mortality in adults, have not previously been assessed in a randomized controlled trial. The goal of this study was to investigate the short-term effects of parathyroidectomy on arterial stiffness, blood pressure, and lipid profile in patients with PHPT. Arterial stiffness was assessed using carotid-femoral pulse wave velocity. The randomized controlled trial enrolled 79 adults patients referred to Aarhus University Hospital in Denmark between February 2017 and April 2018. All participants met the diagnostic criteria for PHPT and were eligible for parathyroidectomy. The patients were randomly assigned to undergo surgery or to a control group that underwent surgery 3 months after study inclusion. After randomization, parathyroidectomy was not performed in 4 patients, another 4 patients were lost to follow-up, and 2 patients postponed surgery for personal reasons, leaving 69 patients who completed the study (median age, 64 years; 72% women). Overall, parathyroidectomy had no effect on pulse wave velocity, as changes in pulse wave velocity between baseline and the end of the study were similar in both groups. However, in patients with plasma ionized calcium levels ≥1.45 mmol/L, surgery was associated with a significant decrease in pulse wave velocity compared with the control group (-4.4% vs 3.0%; P =.02). While changes in office systolic and diastolic blood pressure taken in a sitting position after 5 minutes at rest were similar in both groups, 24-hour diastolic blood pressure decreased significantly in the control group but increased in the parathyroidectomy group (-3.40% vs 0.51%, respectively; P =.03). There was no difference in the change in 24-hour systolic or mean arterial blood pressure between the groups. Total cholesterol levels decreased significantly in response to parathyroidectomy in the control group (-0.24% vs 5.25%, respectively; P =.04). However, there were no differences between groups in changes in low- or high-density lipoprotein cholesterol or triglyceride levels. The researchers acknowledged that the study had several limitations, including a small sample size leading to underpowered analyses of changes in arterial stiffness and blood pressure. In addition, the study excluded patients with severe hypercalcemia and the results are limited to patients with mild or moderate PHPT. “Our findings suggest a potential beneficial effect of [parathyroidectomy] on plasma levels of total cholesterol, whereas ambulatory diastolic blood pressure may increase following [parathyroidectomy],” concluded the investigators. Patients with primary hyperparathyroidism and plasma ionized calcium levels >1.45 mmol/L may benefit from parathyroidectomy in terms of a reduced pulse wave velocity. Close more info about Does Parathyroidectomy Reduce CV Risk in Primary Hyperparathyroidism?